Carl Miles' apartment at Rosie Shields Manor has everything he could want in a home – and then some. Beyond Housing's Chris Krehmeyer stands in a vacant unit inside Rosie Shields Manor in Pagedale. Krehmeyer's group has developed a number of projects using the low-income housing tax credit, which is under increasing attack in Jefferson City. Miles’ spacious room has sleek wood-like floors and a modern-looking kitchen. He’s within walking distance of a bank and grocery store. And he can even throw parties in the Pagedale facility’s community room or common area – with management’s permission, of course. From his description, it may be safe to assume that Miles resides in a retirement community or a swanky nursing home. But Rosie Shields Manor is an affordable senior facility developed with federal and state low-income housing tax credits. With amenities galore and an aesthetically pleasing environment, it’s not surprising that Rosie Shields Manor is completely full – and has a waiting list. People like Miles are able to live there for around $500 a month. Beyond Housing executive director Chris Krehmeyer says the low rent wouldn’t be possible without the tax credit. Listen to Jason Rosenbaum's report on the battle over Missouri's low-income housing tax credit. There’s little question that the low-income housing tax credit spurred both for-profit and non-profit entities to develop housing for the poor, elderly and disabled. It’s been credited with creating 46,700 housing units throughout Missouri since 1998. But for the last few years, the incentive has been under intense scrutiny – primarily from conservative legislators in the Missouri General Assembly. They say the credit is inefficient and wasteful, especially when lawmakers have had to cut spending elsewhere. For the most part, the legislative debate hasn’t produced many results. But that may change this year. The House last week passed legislation lowering the total amount available for low-income housing credits. And there’s a growing movement in the Missouri Senate to link the tax credit issue to tax cuts. A for-profit or non-profit company comes up with a housing proposal for the working poor, elderly or disabled and presents it to the Missouri Housing Development Commission (MHDC). The commission is responsible for doling out both state and federal low-income housing tax credits and it has the final say of what projects get approval. If MHDC approves a project, the credits are eventually issued in 10 equal increments over a 10-year period. The credit eases a business or individual’s state tax liability. Typically, the tax credits are sold to banks or syndication firms, with the proceeds from that sale going toward bringing down development costs. That, in turn, allows a housing facility to charge lower rents. Carl Miles stands outside his housing unit inside Rosie Shields Manor. He likes living there: "we get a chance to interact with the locals in the community and we get a chance to interact with a lot of the children in the community." The credits come with some strict stipulations. Facilities that receive them must dedicate most of the units to people below a certain income level (or, in the case of senior facilities, an age level). And the Internal Revenue Service can take some of the credits back if the facilities are run down or managed in a slipshod manner. Proponents of the low-income housing credit say that the incentive saves money in the long run. For instance, the state has to pay for needy seniors to live in nursing homes. They contend affordable senior housing costs less, because tenants are paying their own way. Beyond Housing's Krehmeyer said the process to land the credits from MHDC is “hyper competitive.” He said in the last five to seven years, the competition became fiercer because rural developers got into the act. 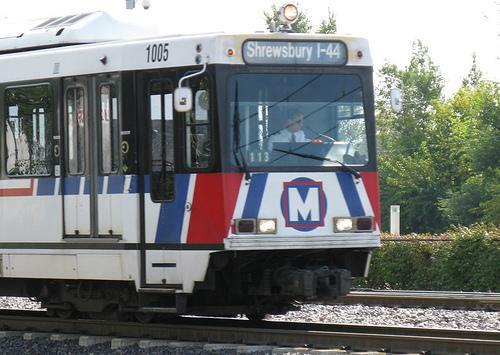 According to MHDC, Missouri issued from 2004 to 2013 on average $50.8 million in credits for projects in the city of St. Louis and St. Louis County. Stephen Acree says if it weren't for the tax credits, he wouldn't be able to offer fairly spacious, three-bedroom apartment in Forest Park Southeast to families for around $650 a month. It’s one of numerous units that Acree’s group – RISE Community Development – redeveloped in the past decade, helping to spawn the redevelopment of that neighborhood, he said. People throughout Forest Park Southeast, Acree said, identified absentee rental properties a major problem. Using both low-income and historic preservation tax credits, Acree’s group was able to redevelop 72 apartments throughout the neighborhood. By getting control of 36 buildings in the neighborhood, Acree says "smaller investors" began to come in. It’s not just non-profit companies using the credit. Brian Poulin’s for-profit company purchased and rehabbed Minerva Place, a former gymnasium in the Hamilton Heights neighborhood of St. Louis. They turned it into a low-income senior facility. Poulin – the president of the Maine-based Evergreen Partners – said his company’s developments have the “look and feel” of a “market-rate” property. That means each unit has wood-type floor, high-end cabinets and new appliances. As with Rosie Shields Manor in Pagedale, Minerva Place is full. According to Poulin, it has a “very long” waiting list. Poulin also sees the property as a revitalizing force in the north St. Louis neighborhood. Even critics of the tax credit agree that the incentive has a noble purpose. But that hasn't stopped long-running questions about the credit's cost and efficiency. Some refurbished apartment buildings in Forest Park Southeast. Lamping is part of a group of Republican senators that have been critical of the program. He and other lawmakers say the state spends way too much on a program that isn’t very efficient. And while he would prefer to rely on the federal tax credit, he's amenable to decreasing the amount of tax credits issued annually from roughly $140 million a year to $110 million a year. 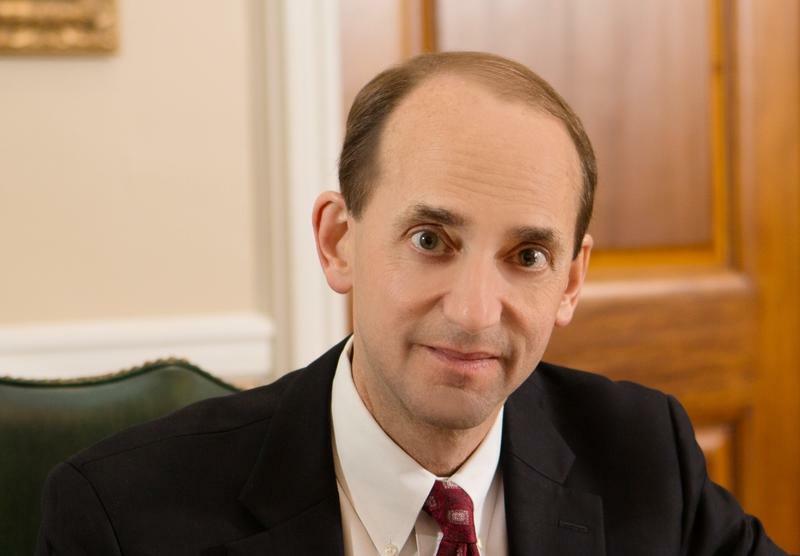 Lamping’s contentions may have received a boost from state Auditor Tom Schweich. According to the audit released this week, only 42 cents of every tax credit dollar goes toward building low-income housing. The remainder goes to, among other things, the federal government in the form of increased federal income taxes, to syndication firms and to investors. 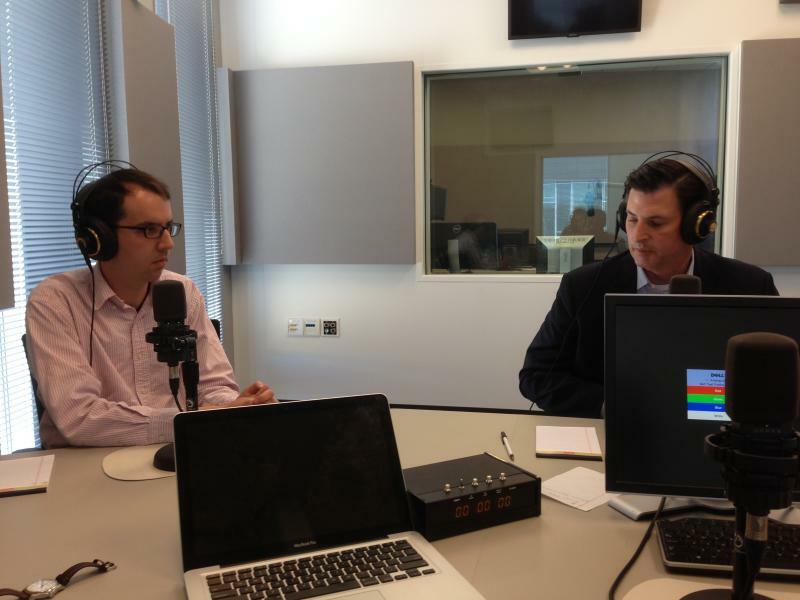 St. Louis Public Radio reporter Jason Rosenbaum interviews Sen. John Lamping, R-Laude, in Jefferson City. Schweich’s audit also revealed that with $144 million worth redeemed in 2013, the low-income tax credit is the state’s largest tax credit. What's more, the Missouri version of the program costs more per capita than other states, including big ones like California or New York. That sort of statistic resonates with Sen. Will Kraus, R-Lee’s Summit. Kraus -- who sponsored legislation to lower the cap of the low-income tax credit -- says it makes no sense to be issuing so many credits at a time when the state is “underfunding” K-12 education. While primarily Republicans have supporting curtailing the credit, it’s also found an ally in Gov. Jay Nixon. The Democratic governor’s administration even convinced MHDC to delay issuing low-income housing tax credits in late December, including Beyond Housing’s Pine Lawn facility. Lamping and other lawmakers have echoed the governor's sentiments. They've taken issue with how some businesspeople profit off of the tax credits. The St. Louis Post-Dispatch reported recently that four companies purchase a big chunk of the tax credits. Sen. John Lamping, R-Ladue, has been critical of the low-income housing tax credit. And Lamping said the fact that so many projects come before MHDC shows how lucrative the incentive could be. Krehmeyer disputed that the program is a sop to developers or syndicators. He said low-income housing produces "a very modest amount of cash flow" because rents are low. "This is very consistent with how this industry works all across the country," he said. "It is a not a waste of the taxpayer dollars. I would allege that it is, quite frankly, a big asset to the taxpayers of Missouri. That's because of the longitudinal and residual benefits that happen when we produce affordable housing, house people who need a decent, safe place to live and ensure that our neighborhoods are getting stronger." For years, lawmakers such as Lamping and Kraus have grappled with lowering the amount of low-income tax credits that can be issued every year. But those efforts have often gone nowhere. They’ve primarily run into opposition from an unusual coalition: Democrats representing urban areas and a segment of Republicans. A good example of this coalition is Lt. Gov. Peter Kinder, a Republican, and Sen. Maria Chappelle-Nadal, D-University City. The two don’t see eye-to-eye on many issues, but both oppose steep cuts to the tax credit. Chappelle-Nadal said the tax credit is important for her district, which includes Pine Lawn and Pagedale. Rosenbaum interviews Sen. Maria Chappelle-Nadal, D-University City, about low-income housing tax credits. During an appearance on the Politically Speaking podcast, Kinder took things a step further. He disputed that the public at large is clamoring to clamp down on tax credits, adding that it’s a “hobby-horse” of some Republican senators and Nixon. But there’s evidence that not everyone opposes the delay, and the issue is gaining momentum. These types of maneuvers worry Acree and Krehmeyer. A lower cap, they say, means fewer opportunities to develop affordable housing. Both Krehmeyer and Acree say the demand for affordable housing isn't going away. Lamping is skeptical about that type of argument, especially since most states don't have a state low-income housing tax credit. Both he and Schweich suggested that it might be more efficient for the legislature to directly appropriate money for low-income housing, rather than use the tax code. State Auditor Tom Schweich released an audit critical of Missouri’s low-income housing tax credit, saying that the widely used incentive is inefficient and has a “very low” return on investment. And the Republican statewide official is hoping the audit will spur the Missouri General Assembly to break a years-long logjam on changing the state’s largest tax credit program. The Missouri House passed legislation on Thursday curtailing two of the state’s largest tax credit programs. State Rep. Anne Zerr’s bill would reduce the historic preservation tax credit’s cap to $90 million from $140 million. That program helps refurbish older buildings and has been used extensively throughout St. Louis. The bill would also gradually reduce the cap on the tax credit for low-income housing to $110 million from $140 million. That credit provides an incentive for developers to build housing for the working poor, elderly and disabled. On this week's episode: Missouri Senator John Lamping (R) joins as a guest, and discusses how he got into politics (and went to college with Michelle Obama). Lamping also discusses his filibuster against the transportation sales tax, his plans for ethics reform next session, and the prospect of him running for his seat again. 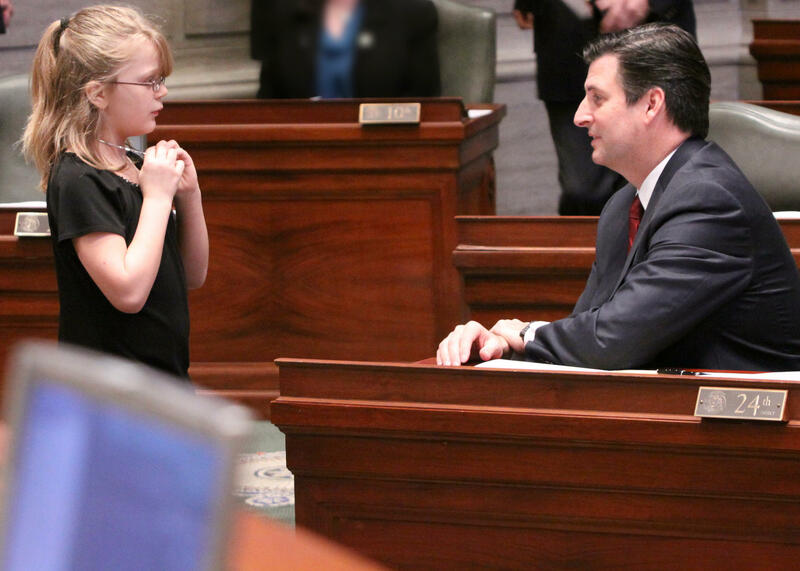 State Sen. John Lamping, R-Frontenac, has yet to say if he’s running for re-election this fall, in what could be the region’s top legislative contest. But his campaign money could be speaking for him. He has very little. 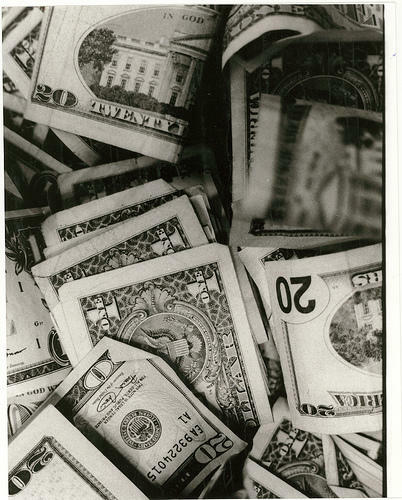 Meanwhile, his Democratic challenger — state Rep. Jill Schupp of Creve — has raised a lot. The latest campaign-finance reports for the two, filed this week, show that Schupp raised more than $108,000 during the past three months. She now has $261,202 in the bank.